In the aftermath of the overthrow of Viktor Yanukovych, when protests against the new government in Crimea and Eastern Ukraine blurred into the machinations of Russian Special Forces, journalists liked to make a little comparison in their travelogues. On the one side, there were places like Zaporizhia, Kharkiv, or, most of all, Donetsk, which were Soviet. 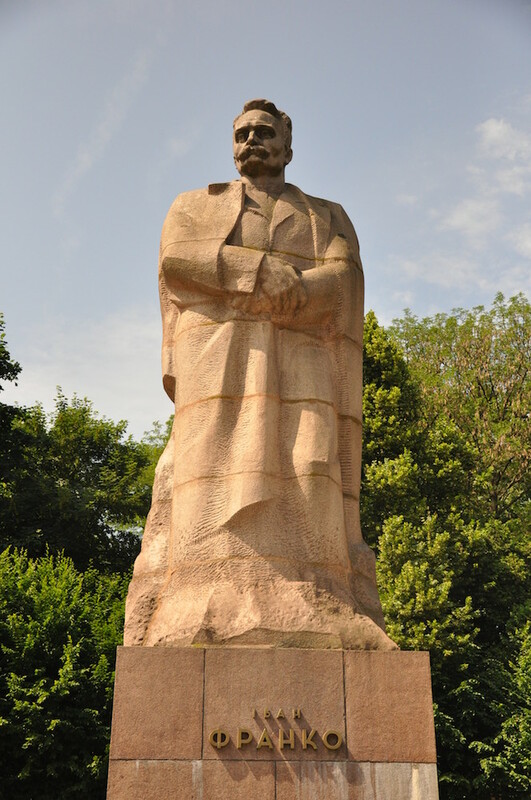 They had statues of and streets named after Lenin, they had heavy industry: ugly relics of a dead empire. These would be contrasted with a visit to Lviv, with its beautiful, western, European architecture and culture of proud patriotism — and it had completed its “decommunisation” of street names and monuments already in the early 1990s. In these stories, Lviv is the most European, least Soviet, and also, linguistically and culturally, the most Ukrainian city in Ukraine, and the implication is that everywhere is now following its lead. Judged on a straightforward architectural and aesthetic level, it’s all true. 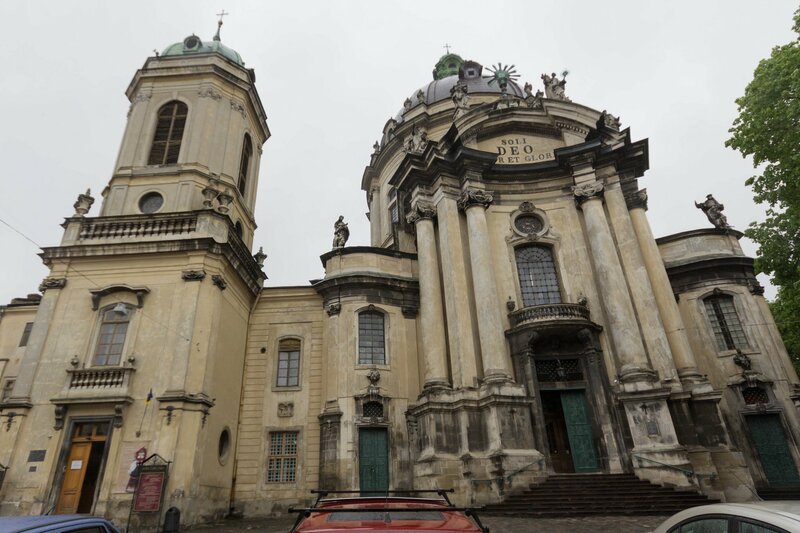 You really can walk around Lviv, with its baroque domes, neoclassical squares and fin-de-siecle gardens, and imagine you’re in an Austria that has become suddenly impoverished and adopted the cyrillic alphabet. But what does that easy judgement reveal, and what does it obscure? Beautiful as it may be, Lviv's 20th century history is as ugly as anywhere else in Europe, probably more than most. 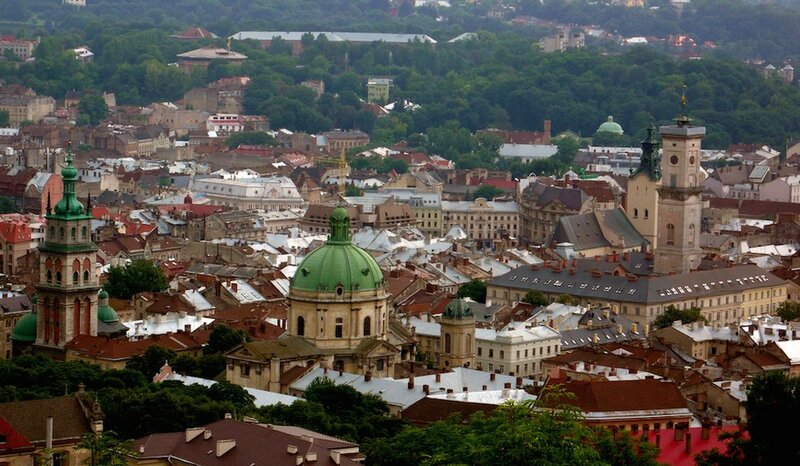 Lviv — Lwów, Lemberg, Lvov — began the century as one of the biggest cities in the Hapsburg Empire, German-ruled, but Polish, Yiddish and Ukrainian speaking, in that order. After 1918 it was one of the main urban centres of the revived Poland, where local politics were tense. Polonisation measures led to Ukrainian resistance, first from the left, and increasingly, in the 1930s, as the famine next door made Communism somewhat less appealing to western Ukrainians, the far right, in the form of the Organisation of Ukrainian Nationalists (OUN). In 1939, Lviv was annexed to Soviet Ukraine as part of the Molotov-Ribbentrop pact, and thousands of people in all of the city’s ethnic groups were deported to Siberia. 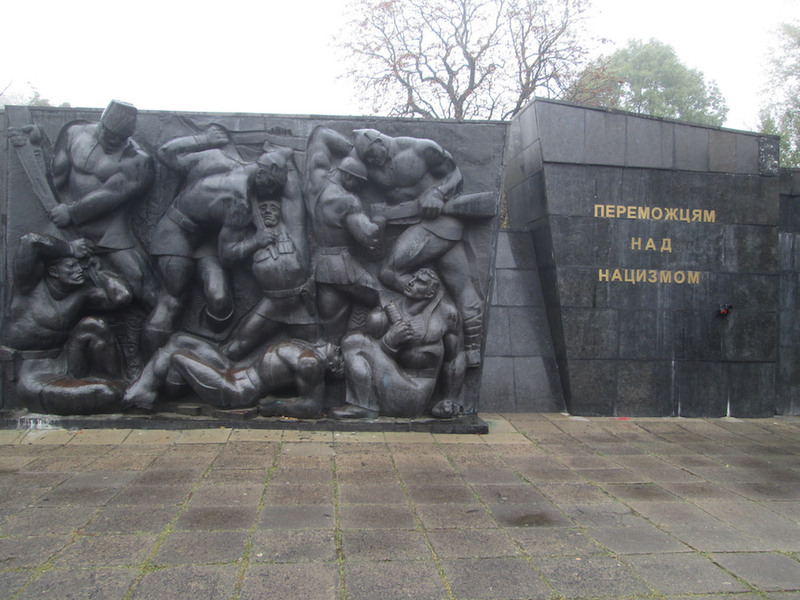 As the Nazis approached in 1941, the NKVD massacred anyone left in Lviv’s prisons. When the Wehrmacht arrived, the OUN — conflating Jews and Communists, as fascists did then and do now — orchestrated the ferocious Lviv Pogrom, and attempted to set up a Nazi-backed independent state, only to be rejected by the Germans, who wanted Ukraine as a colony, not an ally or even a puppet state. Even so, the two factions of the OUN collaborated with the Nazis — and the Holocaust — to varying degrees over the next few years. The OUN's more radical Bandera faction set up the Ukrainian Insurgent Army, whose main action in the war consisted of ethnically cleansing western Ukraine of Poles. After Lviv, and the other formerly Polish-controlled parts of Ukraine, were re-annexed into the Ukrainian SSR, Poles were expelled to Pomerania and Lower Silesia, while the UPA led a brutally fought rural insurgency against the Soviets, suppressed with great ruthlessness by the 1950s. Now, it would be asinine to suggest that this horrific history overdetermines Lviv today — though similar generalisations are routinely made about Eastern Ukraine. If nothing else, Lviv in the 1940s and 1950s was another reminder that being European and being barbaric are in no way mutually exclusive. But, ethnic cleansing aside, what is it that makes a place “European”? 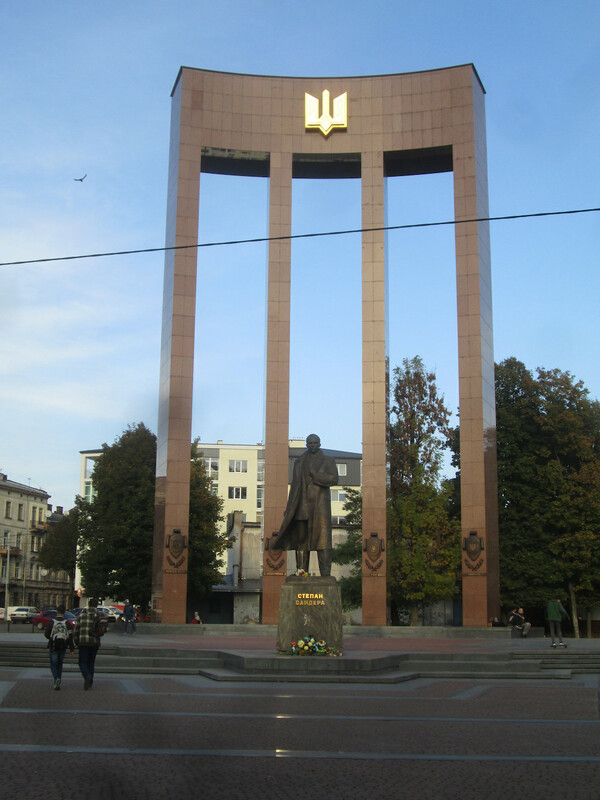 And what is it that makes Lviv “non-Soviet”? Lviv was founded as part of the Kingdom of Ruthenia, but its architectural form comes from the Polish-Lithuanian Commonwealth, a peculiar and vast state which existed from the 16th until the 18th century. An anarchic Polish aristocracy commanded, at its height, an enormous multiethnic territory stretching from the borders of Gdansk to Smolensk. 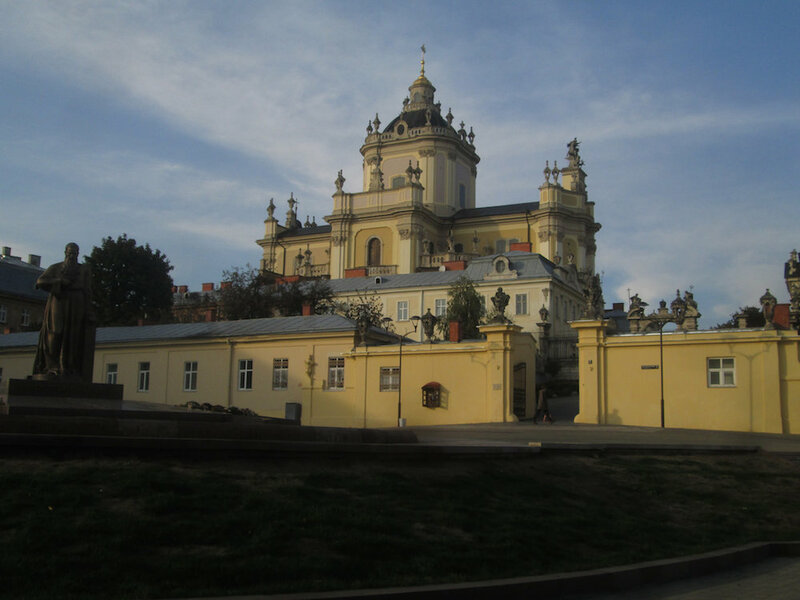 Fiercely Catholic, the Commonwealth’s rulers were enthusiasts for the Counter-Reformation, the reason why its major cities – Krakow, Vilnius, Lviv – took baroque and rococo design to florid, picturesque extremes. Vilnius native Czesław Miłosz compared its architecture to colonial Latin America, and both politically and aesthetically, there’s much in that comparison. 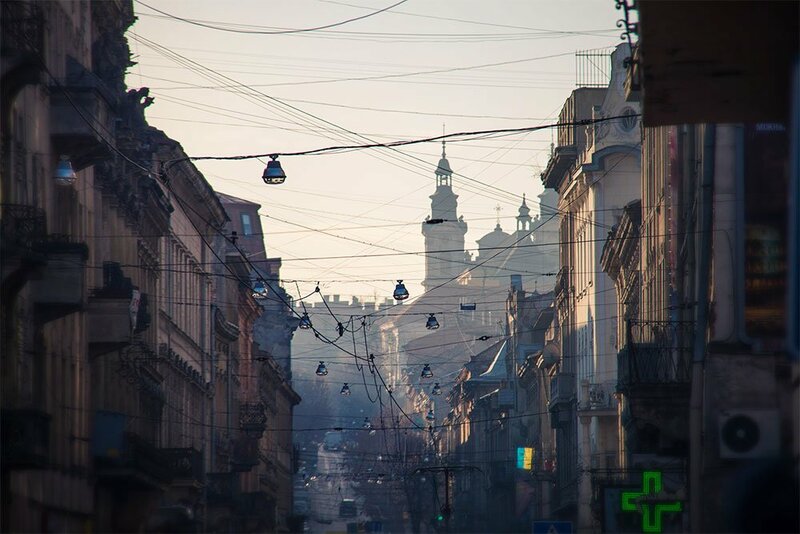 Central Lviv is full of the sort of architecture tourists love, and there is nothing wrong with that in principle. Any city would love to have something like the encrusted high baroque of the Bernardine Church, or the later, more serene Dominician Church and Monastery; the architects were Dutch and Italian, respectively. Similarly, anywhere would be proud of the Rynok, with its gabled townhouses, full of sgraffito and reliefs, around the renaissance tower of the Town Hall. 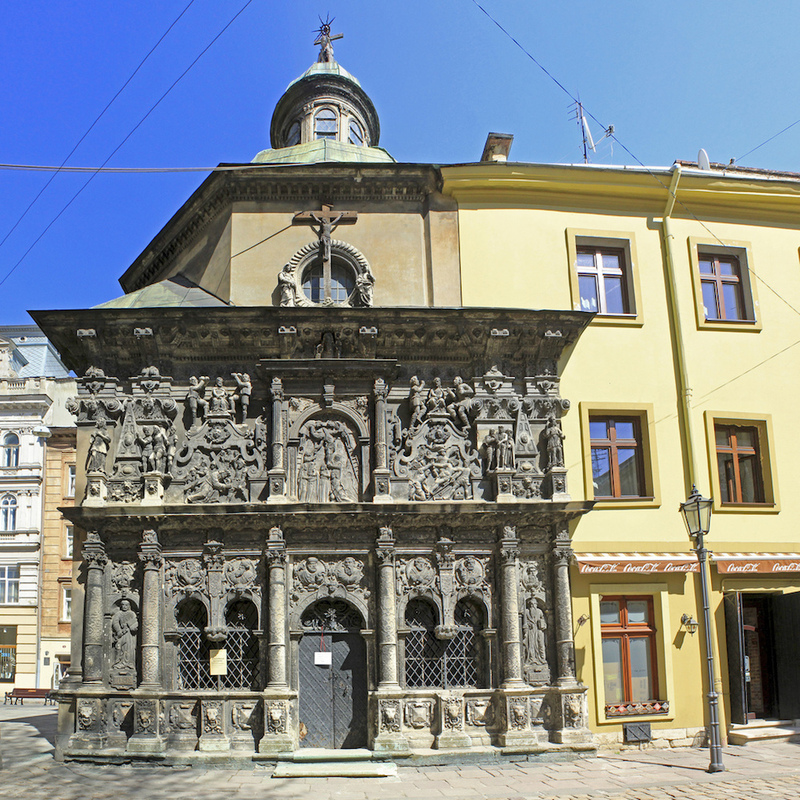 A lot of Lviv baroque is of the most fruity, obsessive sort, like the organic figures and motifs crowded onto the facade of the Boyim Chapel. Rather than being kept as a relic, fit only for snapshots, souvenir shops and stag parties (as it would surely have become in a few years had the cheap airlines not started to cancel their budget flights), there's an actual living city occupying all of this. 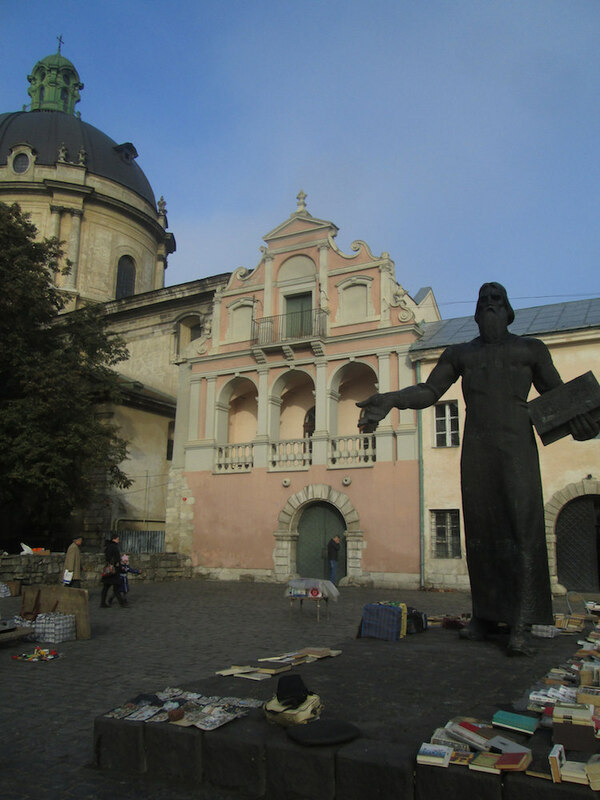 On an informal little square, between the two baroque beauties of the Dominican Church and the Dormition Church, beneath a colossal statue of the 16th century printer Ivan Fedorov, there’s the best book market I've found anywhere in Ukraine. The streets around the Rynok are full of interesting cafes and bars, used by the city’s large student population. 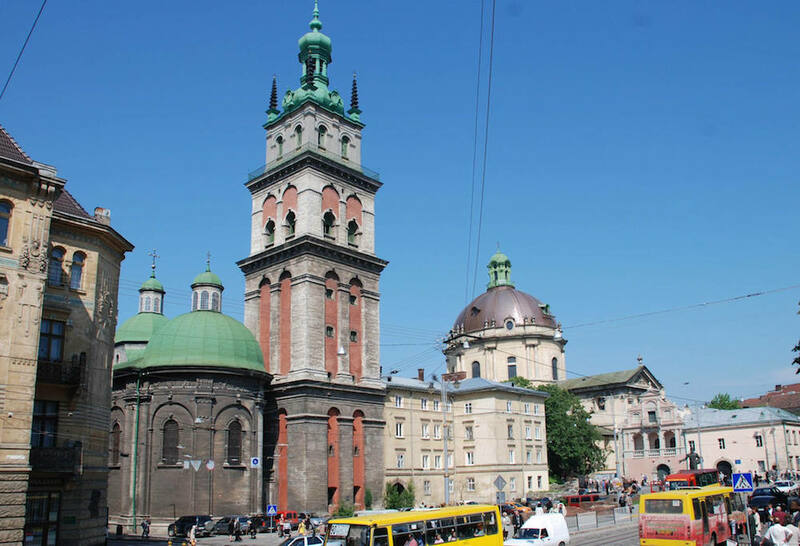 Here, judging by the youth of the residents and the anti-homophobic graffiti (“LGBT RIGHTS = HUMAN RIGHTS”, stencilled, in English – quite a sight in Ukraine), Lviv appears precisely as the progressive European cultural capital its admirers claim it to be. If there’s one architectural era as popular as the Renaissance and the Baroque, it's the fin-de-siecle, particularly courtesy of the Hapsburg Empire. 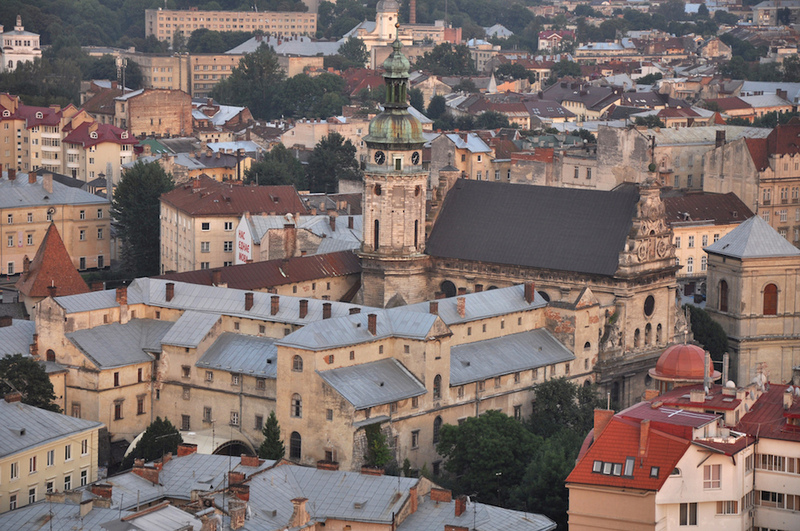 Lviv was the largest city in Galicia, the morsel of the Polish-Lithuanian Commonwealth taken by Austria when Poland was carved up between the imperial powers at the end of the 18th century. Galicia itself was notoriously poor (as it still is – in 2013 income and GDP in the region was far lower in Galicia than in Donbass), but in cultural and national policy, the Hapsburgs were rather more enlightened than the brutally nation-building Prussians and Russians. A large degree of linguistic and educational autonomy was permitted for Poles and Ukrainians. 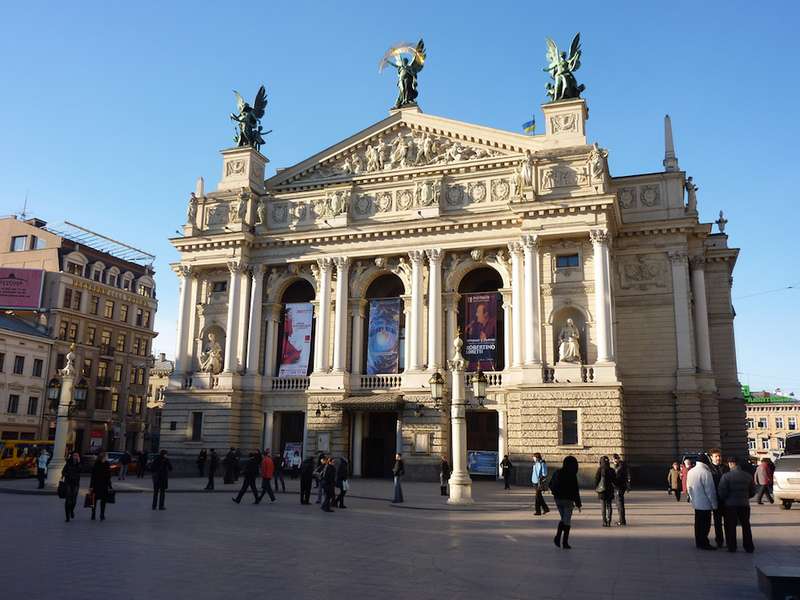 In the 1870s Lviv was made the capital of a semi-autonomous Galician province, and its parliament was built in the city, along with the obligatory Ringstrasse, a green circular boulevard boasting the usual opulent, overripe neo-baroque opera houses, theatres, museums, universities and bourgeois apartment blocks. Soviet Lviv, from 1945 to 1991, did indeed leave the historic centre alone, as Soviet planners usually did, hence all the stag parties to Vilnius, Prague, Budapest et al. 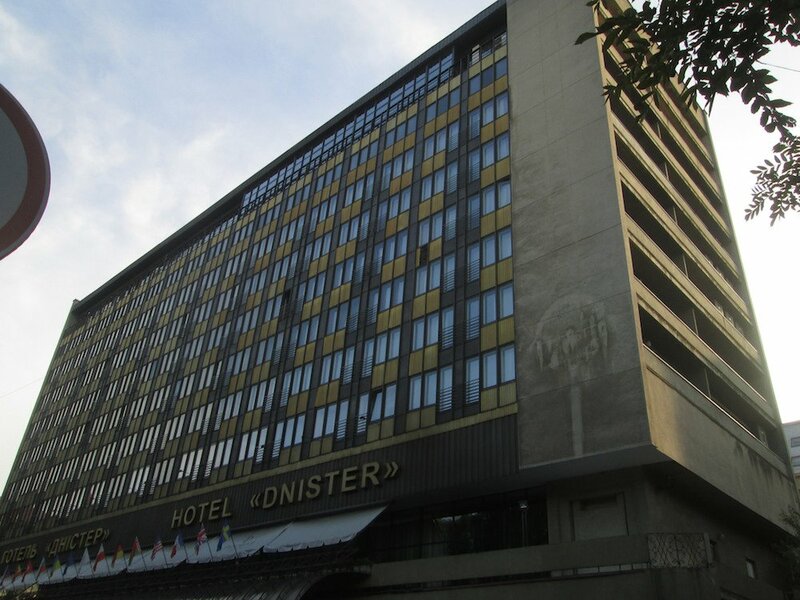 The odd bit of heavy, spiky Socialist Realism lurks in the inner suburbs, but the place to survey Soviet Power in Lviv is the Hotel Dnister, a glass and concrete slab instantly recognisable as a product of Intourist, inserted subtly into a corner street next to the lovely Ivan Franko Park, so you can’t actually see it unless you’re looking for it. Check Linda Alexeyeva and Grigory Ostrovsky’s 1987 Lvov: A Guide, and they recommend starting here, from the panorama on the 9th floor, where you can survey that Florentine skyline. You can also see just beyond it the exact same prefabricated slabs and points that surround every other Soviet city, and the authors are proud of them. 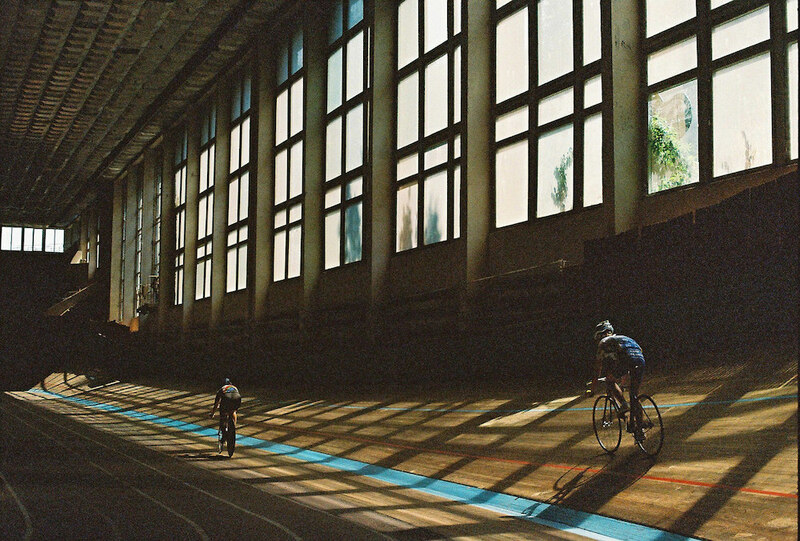 “Whereas before Soviet power was established in Lvov there were well-built residential and public buildings only in the centre and certain privileged districts, they are now to be found all over the town, and of course, in the industrial areas where tens of thousands of workers live. As far as the housing standards go, there is now no difference between the centre and the outlying suburbs.” In standards, perhaps. In aesthetics, not. Lviv got the same stuff here as Donetsk did. However, even within the pre-Soviet borders of the city, there are plenty of remnants to find, even after Lviv’s precocious Leninoclasm in the 1990s. There’s the 1964 red granite statue of the poet and journalist Ivan Franko, chisel-cheeked and fierce, surrounded by insurgent workers, opposite the old Galician Parliament, for one. Franko was one of the founders of Ukrainian nationalism, but very much a figure of the left, and the first translator of Das Kapital into the Ukrainian language — so along with the ubiquitous Taras Shevchenko and the socialist poetess Lesya Ukrainka, he has the rare honour of being honoured by both Soviet and post-Soviet Ukraine. Just outside the centre, the Bogdan Khmelnitsky Park of Culture and Leisure is a typical mini-Gorky Park, with a Stalinist-classical porte cochere leading to a path which rises up, step by step, to culminate in the Memorial to the Valour of the Soviet Armed Forces, winner of the Taras Shevchenko State Prize of the Ukrainian SSR for 1972. The otherwise so totalising, blanket decommunisation laws have a clause leaving Red Army memorials alone. Alexeyeva and Ostrovsky tell us that that “the combination of dominating vertical and horizontal lines, massive forms and stark, concise contours create a complex, and yet harmonious whole and give the monument heroic stature.” It is undeniably impressive, and like many late Soviet memorials has a powerful and uneasy combination of macho figuration – the detailed narratives of fighting and mourning, in realistic bronzes – and abstraction, in the hard polygons into which the stories are fixed. The hammer and sickle and the words “VICTORY OVER NAZISM” remain in place, and, presumably, will remain so. Just opposite is the local HQ of the Ukrainian Army, with a screen in front of it blasting out recruitment videos; militarism in both eras, side by side. 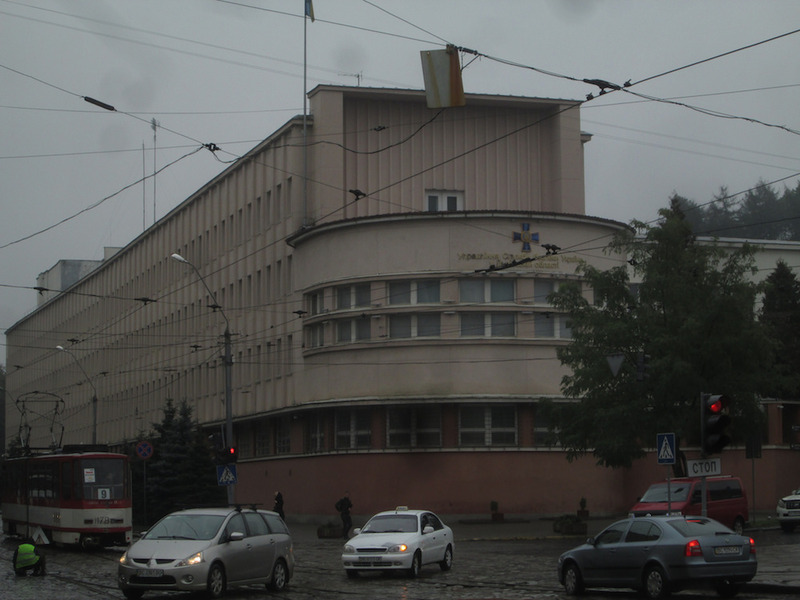 That continuity is much more in evidence along the nearby Stepan Bandera street. Unveiled in 2007, the monument to the OUN(B)’s leader is comically Soviet in its architectural expression. 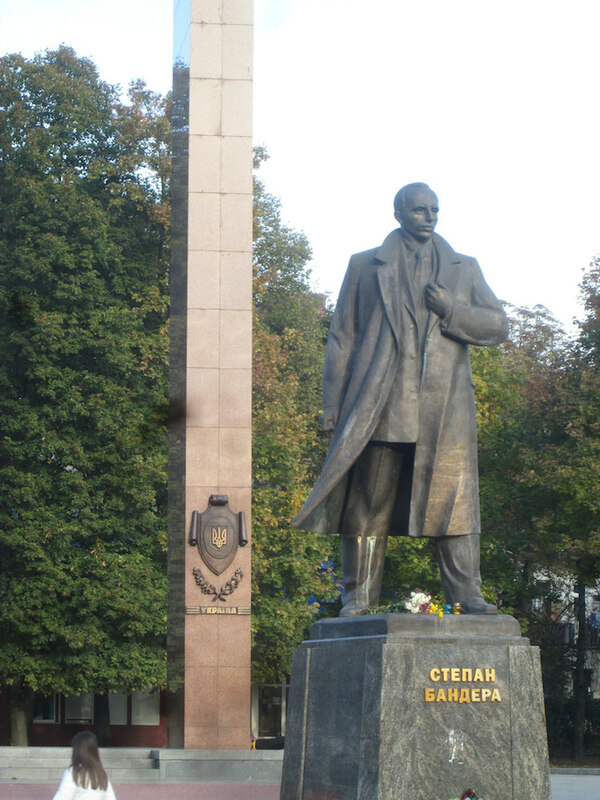 A tall curved colonnade that looks not unlike a gallows is made of the same polished red granite boasted by almost every Lenin Memorial; and in front of that, the bronze figure of Bandera strides purposefully, his trenchcoat’s billowing captured forever in stone. Give him a goatee and then tell me who he looks like. Yet while Lenin’s ideas were hardly reducible to Stalinism, Bandera’s legacy of ethnic cleansing and senseless violence is purely a politics of hatred and racism. The “decommunisation” laws — drafted, after all, by Yuriy Shukhevych, loyal son of Bandera's OUN/UPA colleague Roman Shukhevych — legally mandate the construction of monuments to the OUN, so there'll be more in this vein to come. Yet the statue is used in the same casual way as any other authoritarian monument, with the same lunchtime loiterers, drunks and skateboarders. There is one Soviet thing in Lviv that is genuinely surprising, and its deft avoidance of political symbolism means that the only threat to it would be developers, not ideology. 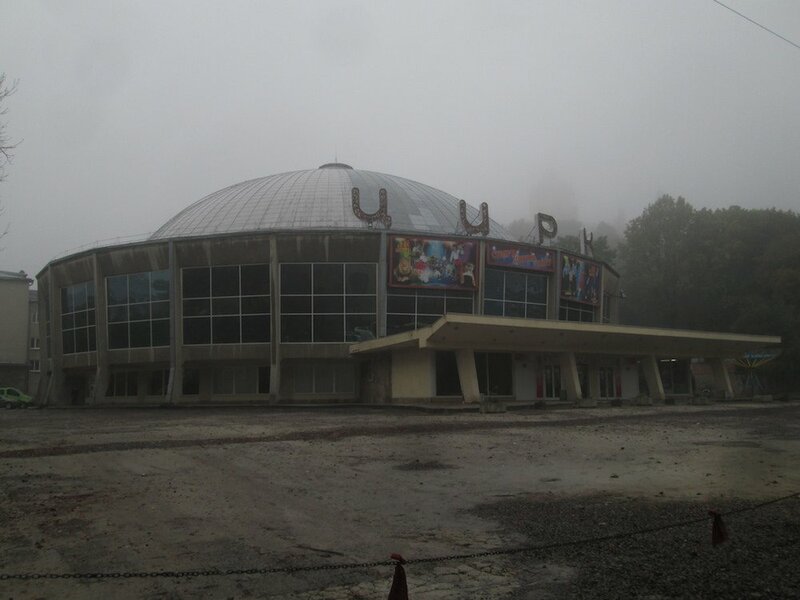 Lviv Circus, built in 1968, is a big, jolly piece of pop modernism whose levity is deeply incongruous in Lviv. Next to it is a playground made up of sculptures — little men, monsters, creatures, animals, covered in mosaic, shaped into slides, swings and climbing frames. It’s a beautiful thing, surreal, cute and unmistakably Soviet and modernist, and it contrasts as sharply with the pompous Socialist Realist blocks on one side of the street as it does with the fading Hapsburg grandeur on the other. 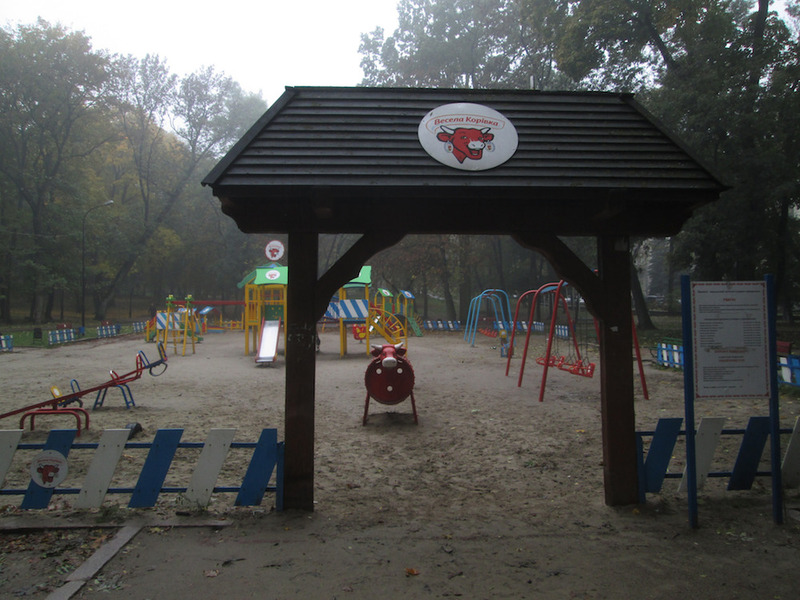 A short walk away in Ivan Franko Park is another playground, which, kindly, the French processed cheese company Laughing Cow have sponsored for Lviv City Council. Their brand is stamped on its every swing and roundabout. Europe, after all.